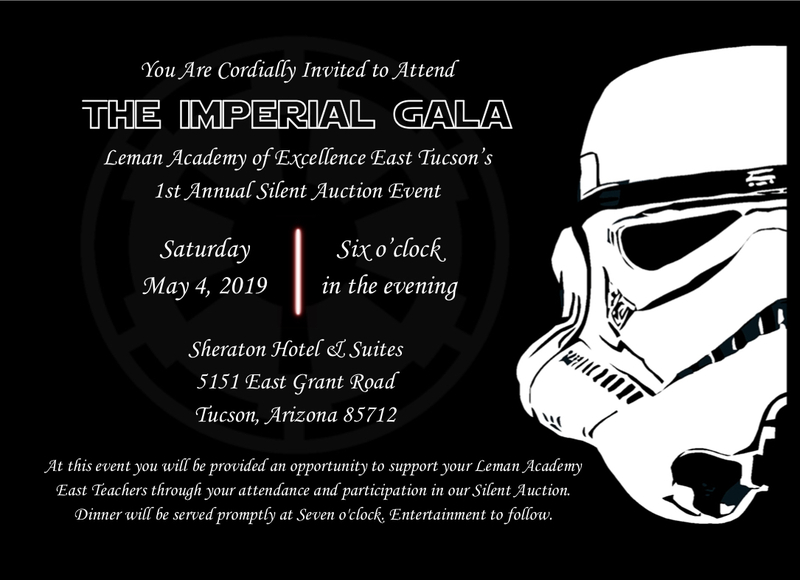 Join us for The Imperial Gala and Silent Auction! This black-tie optional, fun-filled night for adults only will take place on Saturday, May 4th, 2019 at the Sheraton Hotel & Suites and will start at 6 PM. There will be a Silent Auction, 50/50 Raffle, Delicious Dinner and Fantastic Entertainment! Early bird tickets are $50 per person. Final deadline date to purchase tickets being April 27th. You can also donate Admission to the Gala for a Leman Academy Staff member for just $40! Looking for the right at-home learning option for your child? We would love to share with you information about the vast tuition-free educational resources available for your scholar through LVA, including extracurricular enrichment opportunities at our upcoming Open House. To RSVP please visit HERE or give our office a call at 520-499-1474.